Stay warm this holiday season in the tropical Alola region with Pokémon the Series: Sun & Moon. Dreaming of an early summer vacation with Ash and Pikachu? 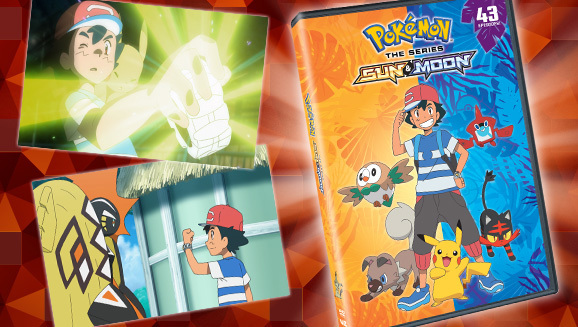 Get a head start as Pokémon the Series: Sun & Moon surfs onto DVD and Blu-ray disc in time for the holiday season! All 43 episodes of the debut season of Ash's adventures in the tropical Alola region are now available in one collection for the first time. Say “Alola!” to this exciting season of Pokémon the Series on DVD and Blu-ray disc!